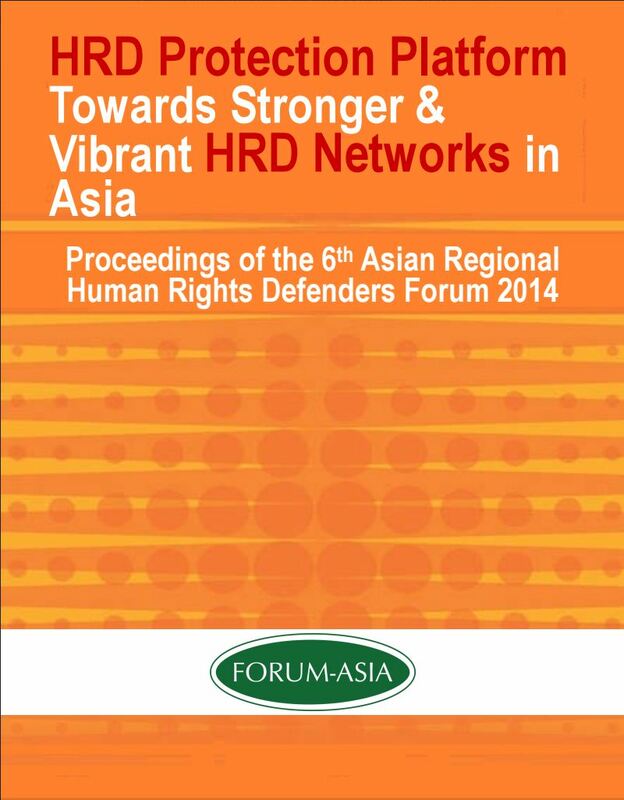 On 3rd to the 5th December 2014, 167 human rights defenders (HRDs) from 22 countries gathered for the 6th Asian Regional Human Rights Defenders Forum (AHRDF) in Manila, the Philippines. Organised by the Asian Forum for Human Rights and Development (FORUM-ASIA) every two years, the AHRDF6 is an opportunity for Asian HRDs to meet, share their experiences and discuss the challenges they face in the course of their work. This year the FORUM-ASIA focused on building stronger protection platforms through the development of vibrant HRD networks across Asia. The 6th AHRDF was honoured to have in attendance Mr. Michel Forst, the UN Special Rapporteur on the situation of HRDs, his first visit to Asia since his appointment in June 2014. During the Forum HRDs had the opportunity to meet with Mr. Forst in sub-regional groups to discuss individual cases and threats in their countries and offer recommendations for his mandate. The first morning of the Forum started off on a celebratory note with songs, dances and cultural presentations from local activists and artists. This was followed by welcome remarks from Mr.Henri Tiphagne and Sr. Crescencia Lucero, the FORUM-ASIA Chairperson and the local host respectively; and, both members of FORUM-ASIA Executive Committee. Mr.Frost provided the keynote for the significant event. In the afternoon two panel sessions gave a regional overview of the situation of HRDs and a discussion of various protection frameworks. Recognising the importance of supporting local HRDs on the ground, a small delegation made a solidarity visit to imprisoned Filipino activist Mr. Temogen “Cocoy” Tulawie in the morning of the second day. FORUM-ASIA also launched its Asian HRD Portal, an online resource that monitors and records violations against HRDs in Asia and collates useful information and materials. This was followed by three panel sessions that focused on specific country situations and discussed protection mechanisms on the individual and organisational level and the importance of establishing HRD networks. In the afternoon of the second day, participants broke out into three sub-regional groups (South Asia, Southeast Asia and Northeast Asia) to discuss different levels of protection and to make recommendations to Mr. Forst’s mandate. This culminated in a plenary discussion on the final day in which rapporteurs from each Group related their findings to mandate-holder and other participants. 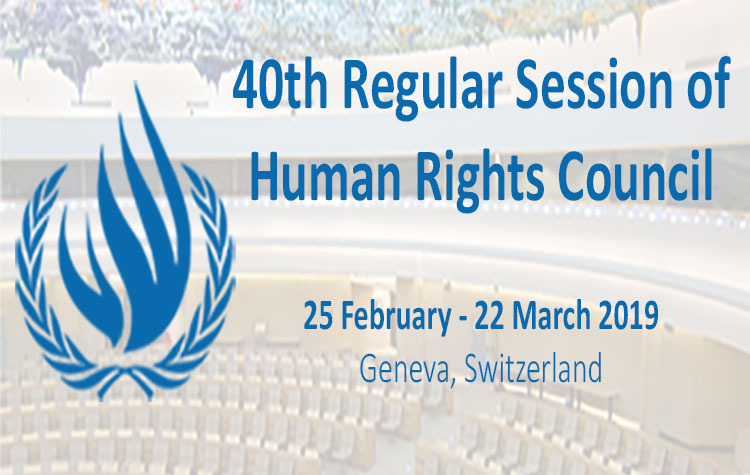 The third day ended with the adoption of the Manila Declaration II, a document based on the needs and gaps in protection identified by HRDs over the course of the 6th AHRDF; and a guide for HRDs and human rights institutions in the course of their work. The AHRDF was concluded with final remarks from Mr. Forst and formally closed by Ms. Evelyn Balais-Serrano, Executive Director of FORUM-ASIA.